It’s Labor Day weekend, and an appropriate time to reflect on our work. As one whose life is ministry, my thoughts turn to others who have dedicated their lives to serving in ministry. To be transparent, church ministry is one of the things I told God early on I would NOT do. I had other plans, but so did He…and the joy and wealth of enrichment that this journey is and has been is immeasurable. We just can’t seem to find anyone to hire for (fill-in-the-blank-ministry-position). I guess young people aren’t as interested in ministry anymore. Apparently our schools just aren’t producing them. As a professor at a Christian university, I can say nothing could be further from the truth. I can only work at a non-profit for about 2 years at a time. It’s about all I’ve been able to take, then I have to step out to recover. This caught me totally off-guard, and catapulted me into thought as my wife and I are immersed in 3 faith-based non-profits: a church, a counseling center and a Christian university. And while we have been exhausted and depleted at times, we have been blessed to be in faith communities who have been nurturing for our souls. I have a few things to say. Let me say first that although this may appear self-serving, it is absolutely not. I am deeply, profoundly blessed by the ministry environments in which I am and of which I have been a part, and am immensely grateful for the care shown to me and my family. This is for the up-and-comers in ministry, and most especially for those of us (especially elders, boards, hiring committees and pastors) who are being called upon to replace ourselves in the coming years in various Christian not-for-profits, most especially the Church. But we do have a problem. Perhaps there are fewer young people entering full-time ministry, but from my angle-working with college students—I actually see quite a lot of them heading that direction. These are stellar young adults, sold out for Christ and developing their faith and wanting to make an impact for the Kingdom of God in multiple avenues of ministry. Many of them graduate with a Bachelor’s degree, starting their career somewhere between $30-$50K in student loan debt. These are students wanting to give their lives to ministry, who already realize they aren’t going to grow wealthy doing it and are okay with that, but who will likely enter a market where they owe more than their salary can handle. The ones who accept the offer, end up spending much of their time and energy working multiple other jobs just to survive. When they leave, it’s not always that they want to…it’s that they have to. We are looking for a youth pastor/children’s director/worship leader/small groups person/etc. Now we don’t have a lot of funds available, so it would be part-time…like $100-$150 per week. Do you know anyone? Sorry, but you aren’t looking for part-time. You’re looking for a temporary intern. Again, this is not to shame anyone’s situation. I know things are tight in many scenarios. The purpose is to alert you to what is happening and to offer some possibilities for consideration in your particular situation. And so, a few questions and a little food for thought for the sake of creativity, especially if you are in a position of seeking to hire in a FBNP. At our church or FBNP, is our mission clear? What are 1-3 things that we can do really well at this point? Are we trying to do/offer a service that is beyond what we can afford to do? Are we efficiently using our volunteer base? Are we hiring in order to do these goals well? When we hire, are we secretly planning to tack on a lot of other jobs (for little or no more pay) if he/she performs well? HOW ARE WE INVESTING IN OUR PASTORS/STAFF/EMPLOYEES? Accountable Reimbursement.With a simple excel sheet and receipts, a pastor/employee can be reimbursed for a lotof qualifying expenses, including auto. This is a MUCH greater tax savings than itemizing deductions. These are funds that can be pulled from line items in your budget other than salary lines. Insurance. Not required or can’t provide Health Insurance? You could in-house fund a MREP (Medical Reimbursement Account) that would be a giant help for common medical expenses. You may also consider Health Sharing, like Samaritan Ministries (which has been astounding for us). Medi-Sharenow offers an employer group plan. Term life insurance is super cheap, especially for a younger employee and could be a very easy benefit to offer for a few bucks per month. Housing. Would your church or organization be able to provide proper housing? Taking $1000 per month off the negotiating table for a house payment or rent could be not only attractive, but win-win. One caveat though…if you provide a parsonage or on-campus housing, will the pastor truly be able to “be home?” Or will it fuel an expectation that he/she could or should go above and beyond all the time, simply because of presence? And will the faith community feel a sense of co-ownership of the residence that doesn’t allow the pastor to truly let down? Debt Reduction.With student loan debt weighing on so many, consider repaying his/her loan or doing a loan reduction plan in the contract that you work out. MANY employers are now offering this. Investment. Even if it’s a small amount—say $50 per month—we understand the power of compounding. Getting started veryearly in life is key. Starting a simple 401K plan for the new, young pastor could be a great benefit that he/she may not even understand the value of early on. Perhaps the promise of matching funds after a certain time period of employment would be an incentive as well. Additionally, ordained persons can opt out of social security, as long as it is filed within 2 years of ordination. If this is the scenario, then a very intentional investment strategy is a non-negotiable. Bonus. Perhaps at Christmas, or birthday, or other appropriate time? If you can’t afford a financial one, how about a time bonus? Most people in ministry have to plan their celebrations at a different time than everyone else. For example, it’s easy to get to midnight on Christmas Eve before the pastor even begins to think about his own family. Or Easter…while many are off at the beach on Spring Break, the person in ministry is preparing to lead the Church in one of the holiest days of the year. While everyone else may be hitting the ground right afterward, this would be a good time for paid time off for rest, recovery and planning before resuming a normal schedule. Sabbatical. What if, in your budget, you set aside some funds into an account on a monthly basis so that every 3 or 5 or 7 years you are able to give the pastor an extended season off for study, recovery and reflection, that’s paid for, and that leaves you with the ability to pay someone interim? Imagine how your church or FBNP would benefit by the return of a re-energized pastor with fresh perspective. Counseling. Unless you are in it, this may not make sense…but ministry can potentially be the loneliest, most-isolating career on the planet. I remember a wise, old, Episcopal priest professor of mine from Fuller Seminary who told us: “be sure you’re working all your junk out before you get embedded in ministry, or the pressure of the office will cause it to leak out on everyone else.” Many employers offers EAP (Employer Assisted Provider) contracts because they know their organization is all the better when their employees are mentally and emotionally healthy. Words. Proverbs 18:21 reminds us that words hold the power of life and death. I’ve kept nearly every positive, and negative, note I’ve ever gotten from someone in the Church. They go into folders in a file cabinet. Occasionally, I pull out the encouraging ones. I’ll never look at the negative ones again. Why hold on to them? Just to compare the size of the files and remind myself how ridiculous it is to allow a few ugly words to undo so much wonderful. When is the last time you wrote or spoke powerful, encouraging, life-giving words to one of your pastors? I can tell you it will be more sustaining than nearly anything else. If I was the Enemy, I’d borrow a concept from C.S. Lewis’ Screwtape Letters and make my strategy to convince those in charge that they don’t really need one. Aside from our desire to see the Church grow and thrive, imagine that it’s your son or daughter who is walking into full-time ministry. What would your hope be for him/her? With the trajectory we are currently on, ministry in the United States is going to become increasingly bi-vocational. Leitourgia, one of our ancient biblical words translated as “worship,” literally means “the work of the people.” It wasn’t a Christian word. The early Church totally ripped it off from Caesar’s military and government because it most perfectly captured the idea of the public servant. Let’s get creative at taking better care of ours. 1) Live the Christian Calendar rather than the Civic one. For many non-denominational churches especially, this is a giant opportunity to disciple the congregation. I’m talking about going beyond Christmas and Easter. Our calendar helps us rehearse the rhythm of the Gospel story: the Father sends the Son, the Son sends the Spirit, the Spirit sends us. So, make a big deal out of Lent. 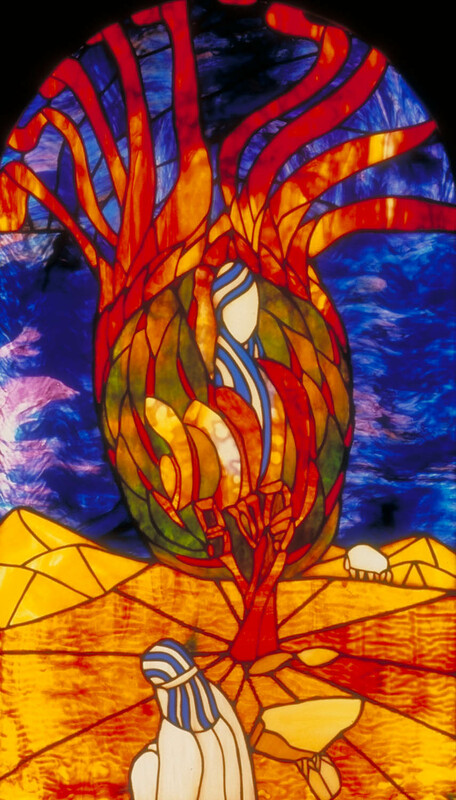 What if you celebrate Pentecost and teach on the Holy Spirit? How about helping your small groups have some light bulb experiences during Epiphany? What if you designed Ordinary Time to be extraordinary? Out of the 8760 hours available in a year, you have about 50 hours available in corporate worship to impact the congregation in a formational way. (And that’s if the church body is consistently, regularly attending). Is the wonder of the Gospel story worth trading for the endless consumer hours in which our culture will focus on national holidays? The Christian calendar helps us rehearse the rhythm of the Gospel story: the Father sends the Son, the Son sends the Spirit, the Spirit sends us. 2) Design Corporate Worship for Discipleship, not Performance. All 3 of my sons are athletes. My wife and I spend countless hours delivering and picking them up to practices. They spend hours rehearsing specific plays, working out, developing fast-twitch muscles, eating right, getting enough sleep, watching film, being mentored by coaches…all so they can perform well in their games. This is the liturgy of the athlete. Imagine that the ways you Gather, teach the Word, meet around the Table, and Send the congregation are drills, which over time build the collective health of this corner of the Kingdom. Building a consistent outline gives you the ability to be more creative, not less. Design consistent ways that involve people multi-generationally so they aren’t just watching what is happening on stage, but are participating in it. Allowing corporate worship to become boring says more about our personal spiritual growth as leaders than anything else. Imagine that the ways you Gather, teach the Word, meet around the Table, and Send the congregation are drills, which over time build the collective health of this corner of the Kingdom. 3) Invite people to help lead their creative ideas. All church leaders have folks approach with great thoughts on the things “we should” or “you should” do. Often, there are some very good ideas. Yet a big part of stewarding the Body is attention to time. If the idea is good, is this the best season to do it? Perhaps it’s a great idea for us next year after we have time to plan it well. Ultimately, is the idea advancing the Kingdom, or is it just another fun (and optional) activity on everyone’s already overloaded schedule? Is the person with the idea willing to help lead it? If not, circular file it. You are called to help grow the Kingdom, not turn your congregation into the Wal-Mart of opportunities from which people can select if they happen to be in town. You are called to help grow the Kingdom, not turn your congregation into the Wal-Mart of opportunities from which people can select if they happen to be in town. “Gospel,”or the “good news, is a churchy, insider word that few in secular American culture use. But it’s also a biblical word…euangelion. On the inside, this very important term has been the victim of reductionism. For so many, this simply (perhaps only) means “Jesus died for my sins so I could be forgiven and go to heaven when I die.” Not that this is untrue (although there is MUCH more to realize about sin, forgiveness and heaven), but making this statement the entirety of the Gospel is like saying a lifetime of marriage is the honeymoon. God’s salvific purposes are immensely greater than such a narrow (and perhaps selfish) view of John 3:16. For a starting point, re-read Luke 4 and underline every time Jesus talks about the “good news” and his role in bringing it. The Word cannot mean something for us that it did not mean for its original hearers. Ask yourself how good news could already be happening prior to the crucifixion and resurrection, and how “good news” now continues. [The preacher] does not have a 5G connection to God while the rest of the congregation is on dial up. This is mission. Simply put, the way we are practicing ministry to one another on the inside, let’s practice that in our community. This means our presence. Although it may take money, it does not mean we get to send a check, proclaim that we have “done missions,” and feel wonderful about ourselves. At this point in our national history, do we really think human government will ever be a perfect solution? This is the Church’s opportunity to come alongside the poor, orphans, widows, people trying to navigate medical insurance and health concerns, college graduates who are trying to find careers and learn how to be an adult in today’s world, to model respectful dialogue and listen respectfully to opposing views, to pursue genuine friendships with people of another race, to honestly listen to the LGBTQ community, to be surrogate moms, dads, grandparents and to fulfill these roles where they are lacking. In the early centuries of Christian faith, this kind of selfless grace combined with an eye on eternity and the belief Jesus might come back at any moment caused the Church to explode into an unstoppable movement. (See The Rise of Christianity by Rodney Stark). Remember, benediction is blessing + charge, not a closing prayer. What is 1 specific way you can challenge the church to enact what you just taught them at the end of each service? Benediction is blessing + charge, not a closing prayer. 7) Less is More for Regular Celebration. Jean Vanier said, “communities who don’t celebrate become places where people just get things done.” Consider having fewer big events and more meaningful, weekly gatherings. Having so much energy vested in the next “big event” can rob us of the time to encounter the movements of the Spirit among us as we get too focused upon what must be done. Ask your people if they normally depart sensing the presence of Christ or a cattle prod to move out of the way for the next service. Invest in and enrich the weekly celebrations for those who are coming. Remember that celebration doesn’t mean partying in the face of those who are hurting. Create space to really see one another and the God who heals. How can we help our congregation see one way that the kingdom of God advanced this week? Every Sunday is a mini-Easter with a celebration of the resurrection, but answering this question well continues affirming Emmanuel—God is with us. Pull up a chair. Some of you may be inspired by this. Some of you may want to take some pre-emptive Advil. The point of this is to provoke thought, not anger. If you end up needing the Advil, I choose to love you anyway. I’m a believer that history is one of our best teachers. History is full of stories. True stories that have framed the kind of people we are becoming. Ancestry.com gets this, and has built quite a successful business based upon this knowledge. In my own family history, my (7-greats) grandfather Melchior (yes, what was his mother thinking?) fled from Germany to the Netherlands as a religious refugee, along with his wife and another couple with whom they were friends. The friends (who were able to afford passage to America) boarded a steam ship bound for America. On a summer evening in 1767 in Rotterdam, my great7-grandparents went to visit them to say goodbye before departure. The captain invited them to spend the night with their friends, and they accepted. When they awoke the following morning, they were out to sea. On October 29, they arrived in Philadelphia and the ship’s captain (who had orchestrated this scenario intentionally) demanded their fee for passage across the Atlantic. Since they could not pay, they were forced to remain at the port until they could be purchased as indentured servants and their fare paid. They waited at the docks until November 27 before a buyer came. My non-English-speaking ancestor, the illiterate Johan Melchior Blanckenberg signed his name with an “X,” which got shortened to John Melchior Plank. Renamed. Resituated. Sold. They had dreamed of coming to America, but this was not the beginning they had imagined. After 5 years of work for a Pennsylvania family, a group of Mennonite friends at a local church purchased their freedom, and the Planks were finally able to begin a new life as American citizens. Learning that this is how my family began its journey in the United States has reframed my personal story. And knowing now what the 20th century would entail, especially for Germany, I’m very thankful they weren’t sent back. Politics (n.), the art of recognizing that resources are limited and working together to distribute and replenish those resources in the best ways possible for the good of all. But we certainly do get bent out of shape because we have so many opinions about how to accomplish the art of politics. This word is VERY closely related to a word used prolifically in the Church. The word is liturgy. If you are a Christian, you may likely immediately think of the “order of worship” in your church bulletin. But this is not what it is. Liturgy comes from the Greek word leitourgia, and literally means “the effective and prosaic work of the people.” It was a governmental and military term used in the Hellenistic world that the earliest Christians decided was the best term to describe how the people of God should live and move in the world. We ripped it off from the Romans! The second half of Acts 2 gives us a remarkable picture of how the earliest Christians were acting politically in their societies, caring for the needs of those around them—a picture of a radically different community compared to the world. Incidentally, leitourgia is the word translated as “worship” in our English Bibles in every instance except one from Acts 1 until Jesus returns in Revelation. The politics that I am for are Kingdom politics. I’m still learning them. They are hard and uncomfortable. They are sometimes risky and costly. They involve a lot of attention to the least of these. They are the way of Jesus. Footnote: We are to take care of our own, even the ones who have wronged us. (Our own is also our veterans, our homeless, and any “least of these” among us). Footnote: We are to care for and treat as family those among us from other nations, because we were once aliens, estranged from God and he has done this for us. Enter where we find ourselves now with the proposed repeal of DACA. I know we need immigration reform. I know that we cannot have people streaming across our borders. We need to work together to fix this and not make it so hard for the many, many people who legitimately want to be here, work hard, pay taxes, worship and participate as full citizens. Using these people to run restaurants, clean hotels, landscape and work construction while dangling a carrot out front and continuing to move it is detestable when many are working so hard to do the right thing. I realize that DACA was a temporary step, but a step toward creating a legitimate path to citizenship. Nearly 800,000 who did not choose to cross the border illegally, but were babes-in-arms, holding their mother’s hand or who were born here voluntarily signed on to this offer. How can we possibly allow the rug to be pulled out from under them? It is unethical. It is disloyal. It is immoral. It is oath-breaking. We do not want this to become a part of our story. Or theirs. When we open our doors, for any reason, do we risk something? Of course we do. But what do we risk in slamming the door? To the dreamer who is deported, what do we risk changing in their attitude toward a country who said “we know you’ve been here 15-20 years trying to work it out, but we don’t want you?” How will that story play out with their children and grandchildren? Do we want to produce more people with ill feelings towards our country? The biblical principle is this: with the measure you use, it will be measured unto you. The world states it this way: what goes around, comes around. I was reminded of a couple of history lessons this morning when my 5th grader brought me his notes for me to quiz him before his test today. The topic? Native American history, their cultures, how Americans drove them all out to make space for ourselves, and how we began allowing them to have some land back in the 20th century. Here is another interesting piece from the 20th century story: 29 million of my generation (Gen X) were deported aborted. This may appear like a tangential subject, but is it any wonder that a population has swelled to fill positions that 1/3 of my generation should have been here to assist with? Human beings who would have been paying taxes and supporting the American story? There are many more examples, but I share these to point out that we have many stories from our own history of getting rid of people whom we perceive make things inconvenient for us. In contrast, when the Church has engaged well in Kingdom politics, when we have tilted headlong into the fray to be a voice for the least of these, we have always grown and thrived. The Church has also been purged of those who were along for a pleasant ride. For one of many examples, I’d encourage the reading of Rodney Stark’s The Rise of Christianity. I can promise you will be stunned by the Kingdom politics of the earliest followers of Christ. https://www.amazon.com/Rise-Christianity-Marginal-Religious-Centuries/dp/0060677015/ref=sr_1_1?ie=UTF8&qid=1504889584&sr=8-1&keywords=rise+of+christianity. I understand that these words are challenging for some believers, but here’s the thing about Jesus: he calls us to hard things. For all who follow him, at some point, we are asked to surrender things that matter more than they ought to. Call your Congressman and ask them to refuse the repeal of DACA, and to please work across party lines toward immigration reform, a clear, understandable and manageable path for those who desire citizenship. Remind them of what we promised. Find Dreamers and listen to their stories. Most of them are astounding human beings with so much to contribute to the American story. They would be very fine citizens. Let them know you care. They are afraid. Dear Church, let’s walk alongside these and help them in their quest for citizenship. Help them figure out how to proceed. What if we helped them pay their fees, assisted with their paperwork, re-learn the American history they will be tested on? If you’ve ever been to a foreign country and tried to figure out how to do something, take that feeling and magnify it by 1000. Now imagine no one wants to help you. If your faith is only about your personal relationship with Jesus, you are missing most of the gospel. Shame on us if we are silent. Each semester in my college class, I have my students write their names on a card and then write something they think I should know about them. This helps me get to know them and also to remember their names. One young lady wrote on her card, “when I was 8 years old, I walked with my uncle from Honduras to California.” This kind of tenacity became evident as I observed her as a student and watched her achieve a near perfect score by the end. She is one of several Dreamers I know. She is trying hard to do the right thing and to go through the correct processes. I will not sit idly by and watch her work and sacrifices (I’ll pick a different vocabulary term as a pastor) be defecated on. My dream is to see her, and all the rest who deserve citizenship so much, be able to realize it without so many obstacles. I’m very thankful my ancestors weren’t shipped back to Germany. If they had, I would not have had the privilege of being a pastor here these past 25 years. Thousands of people would not have been touched by the gospel in my parent’s 50+ years of ministry in Northeast Georgia. Part of my dream is that you would imagine our great future possibilities by reaching out to the Dreamers, rather than retreating into fear, self-protection and deportation. This is an emotional issue for sure; but if you are a Christian, it’s also a theological one that cannot be ignored. As a semi-public figure, I generally try to follow the way of Tina Fey and eat my cake. But not this time. I have put my fork down. We are not what we do. We are what we love. We become what we love because we are shaped by the narrative we imagine. This force is powerful because we each live into the story we imagine…even if we are doing it unconsciously. I have made no “resolutions” to do anything; but rather have chosen to regularly rehearse my imagined hope for myself and for my congregation. The stories of God I share, teach, and preach will be more inspiring and overwhelming than the stories our culture tells? I thoughtfully receive and respond to criticism, even when it is not intended to be constructive? I receive a compliment with soul-refreshing gratitude rather than ego-boosting pride? I am quick to pray for and with specific people for specific circumstances rather than telling them I will? I am appropriately transparent so that my congregation will know I am an equal sojourner as much in need of a Savior as they are? I am not in a hurry? I am not afraid to apologize and to ask forgiveness? I am fully present in the moment? I genuinely listen to people without formulating a response while they are talking? The Word of God is woven into my normal, everyday conversations in a relevant, eloquent, life-giving, non-preachy manner? My iPhone is a useful tool for me, but not Lord over me? I trust God, in regular practice of Sabbath, that He has given me enough time to accomplish what He has ordained for me to do? I practice missional things in secret, not always as a public example to the Church? I enjoy the constant presence of Christ in each task of ministry rather than practicing a morning invocation for Him to bless all my plans today? I courageously live into the anointing of my ordination as a minister of the Gospel? We become what we love because we are shaped by the narrative we imagine. They are growing in their understanding of the priesthood of all believers? The service of worship is becoming more important than the worship service? Skipping participating in the church weekly is as unimaginable as skipping meals daily? They are grasping that being a kingdom-minded Christ-follower is about so much more than basking in the wonder of what Jesus did for me personally? The rhythm of the Christian calendar has become standard operating procedure? They know I love/agape them, and that they are not a bother to me in the busyness business of ministry? They see in me an authentic, joyful, peace-filled enthusiasm for the Father, Son and Holy Spirit? My family, my most important small group, is woven into the fabric of my church family; and neither receives my leftovers? I won’t resolve to do these things because if I do, I will fail. So I will imagine these things and will pray for these things, that God may accomplish them in me and in us. Last night, our newly renovated local community theater hosted a combined orchestra and wind ensemble and opened the performance free to the public. This was an extraordinary cultural treat for our little town. We wanted our boys to experience it–(plus selfishly desired a break from all the ballgames they are immersed in!) They were enamored by the variety of instruments, inspired by the melodies of John Phillip Sousa and full of questions about the tiny girl playing the giant harp 3 times her size on stage left. 2 rows in front of me, a young man–probably college age–was playing Mortal Kombat on his Samsung Galaxy phone. There was no effort to be subtle with it…in fact, it was as if he hoped the entire audience might join him! Held high, inches away from his face, the flickering glow of gunfire and explosions lit my view of the stage. And it went on and on. Even my boys were astounded. At least he had turned the volume off. Held high, inches away from his face, the flickering glow of gunfire and explosions lit my view of the stage. I sort of felt sad for him. Whether he didn’t want to be there or thought he was accomplishing 2 things at once, he was missing it. He wasn’t present. He was trading a holy moment for berries. Lord, help us realize the richness of your presence today in the midst of a doctor’s appointment, lunch with our family, our children’s homework, yard work, grocery shopping, a conversation with a neighbor, practicing an instrument and folding laundry. May we never, ever be satisfied with blackberries.